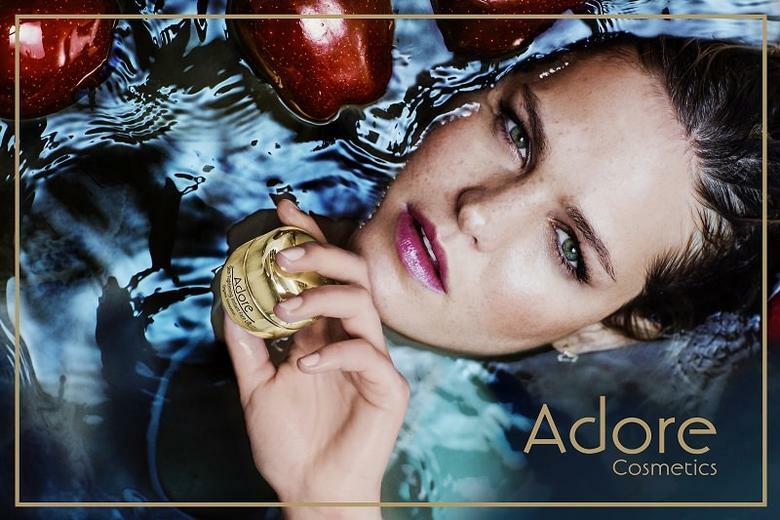 Supermodel Erin Heatherton is the new face and brand ambassador of Adore Cosmetics, a leading purveyor of organic skin care and beauty products. This is Heatherton’s first time being the face of a cosmetics company; previously, the 27-year-old model was a regular on Sports Illustrated as well as a Victoria’s Secret angel. “I love the concept and message behind Adore Cosmetics and their #AdoreYourself campaign, using only organic stem cells in their formulas and reminding women to love the skin they’re in. I knew this was the perfect brand to align myself with. The research and precision put into their products is unrivaled in this industry and my skin has truly never looked healthier since I started using their line,” Heatherton says on her decision to choose Adore Cosmetics. “Adore cosmetics embodies all of my favorite and essential beauty and skin-care elements. I love that the product is rooted in the newest, most innovated science, created with organic ingredients and produced hands-on by a committed, lovely, and conscientious team,” she told InStyle. Adore Cosmetics uses plant stem cells to formulate organic skin care products that promote rejuvenation and natural beauty, focusing on common problems like dry skin, wrinkles, and puffy eyes. Find our discounted limited-time offers here.